-Priced below the market average!- Low miles for a 2014! 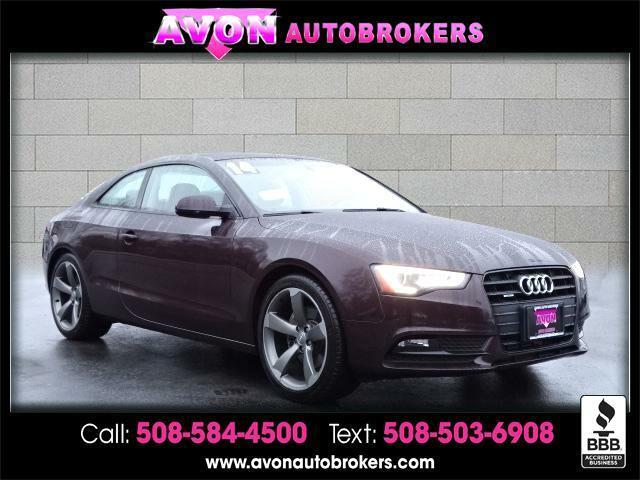 Navigation, Back-up Camera, Bluetooth, This 2014 Audi A5 Premium Plus, has a great Purple exterior, and a clean Black interior! Heated Seats, Auto Climate Control, Leather Steering Wheel Satellite Radio, Steering Wheel Controls, Sunroof/Moonroof, Seating, AM/FM Radio Rain Sensing Wipers ABS Brakes Satellite Radio Call to confirm availability and schedule a no-obligation test drive! We are located at 159 Memorial Drive Rt.28, Avon, MA 02322.